Bernie Sanders is launching his second presidential campaign with a call for Americans from all walks of life to join his fight for a political revolution, one he’s been waging for four decades. 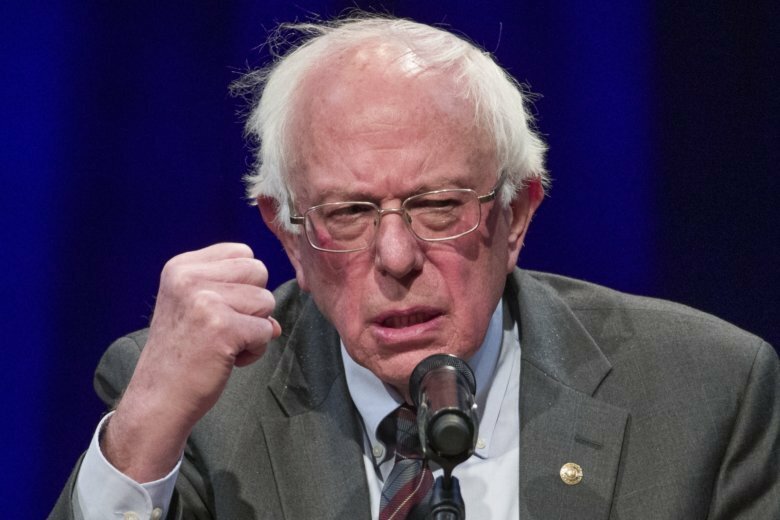 Sanders is calling Donald Trump the most dangerous president in modern U.S. history, and the Vermont senator says his campaign is built to defeat Trump. Sanders is speaking at an outdoor rally at Brooklyn College, where he went to college before transferring to the University of Chicago. He also grew up in Brooklyn. Supporters carrying signs lined up in the snow hours before he was set to speak. Bernie Sanders launched his 2016 presidential campaign from Vermont, the state he’s represented in the Senate for nearly two decades. But for his second White House run, he’s trying to showcase more of his personal story. And that’s why Brooklyn is his first stop. It’s where he grew up as the son of a Jewish immigrant and lived in a rent-controlled apartment. Sanders is aiming to connect his working-class childhood to his populist political views that have reshaped the Democratic Party. Sanders joins the race as one of the best-known Democrats in a crowded field and in a political moment in which many Democrats have embraced elements of his agenda. He’s pushing “Medicare for all,” a $15-an-hour minimum wage and tuition-free public colleges.